You want to believe that Americans would never have stooped as low as Nazi's in trying to bring about the Perfect genetic white human beings but they did - and people with lots of money were behind it. 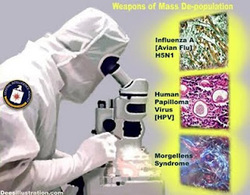 Eugenics is still going on today in ways you might not be aware - injections to babies in the hospitals, jails and sanitariums; vaccinnations of which you have no idea what is in them; the chemical spraying of aluminum and other toxic materials over our food (Roundup/Monsanto and in the air generally through HARRP. 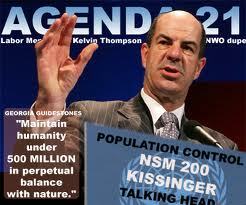 Eugenics today is being used more as a population control device rather than to create the perfect specimen. America's hands are certainly not clean - in fact they are very dirty and for the most part, people used in experiments were generally not informed of what they were being given for what reason or experiment. This ﻿report ﻿will spin your wheels! On January 15, 1994, President Bill Clinton formed the Advisory Committee on Human Radiation Experiments (ACHRE). This committee was created to investigate and report the use of human beings as test subjects in experiments involving the effects of ionizing radiation in federally funded research. The committee attempted to determine the causes of the experiments and reasons that the proper oversight did not exist. It made several recommendations to help prevent future occurrences of similar events. As of 2007, not a single U.S. government researcher had been prosecuted for human experimentation. The preponderance of the victims of U.S. government experiments have not received compensation or, in many cases, acknowledgment of what was done to them. 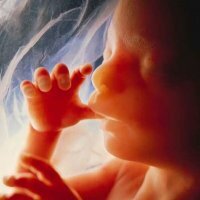 Most humans affected are not even aware they were subjects - they were just allowed to believe they had some strange disease ir in the case of deformed or sick babies being born, they were told it was a genetic thing and the parents could blame themselves. In the case of experiments used in jails, mental hospitals and children's homes - "these things just happen". 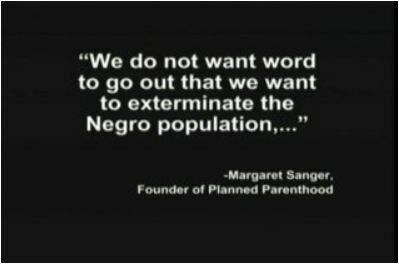 Today, as far as we can tell, Eugenics is not being used as a "Superior Race Objective" but as "Population Control". Hundreds of thousands from around the nation gathered for the 40th March for Life in Washington, D.C. on Friday, January 25. The yearly event commemorates the anniversary of the infamous Roe v. Wade decision which legalized abortion on demand. Despite the freezing conditions and snow, an immense crowd could be seen in all directions, composed mostly of young people full of enthusiasm for the cause of the unborn and the future of the family. A veritable sea of banners and signs from groups around the nation blanketed the National Mall as the opening rally began Friday afternoon. When Were These People Appointed God? 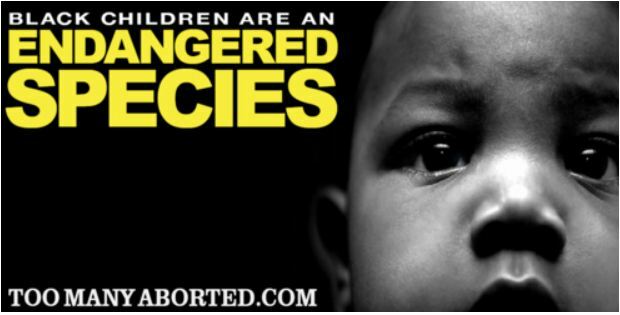 Using the "GREEN LIE" to push their "EUGENICS" control - Ahmadinejad is not the only one that wants the World dead - all we have to do is look in our own backyard! This radical agenda is even represented in the White House. John P. Holdren, Barack Obama's top science advisor, co-authored a textbook entitled "Ecoscience" back in 1977 in which he actually advocated mass sterilization, compulsory abortion, a one world government and a global police force to enforce population control and he continues to talk about this since moving to the White House. $3 billion for illegal promotion of drugs, pricing fraud, and failure to report safety data. [As usual, the executives who authorized these illegal activities will not be punished after the government receives its payoff – er, settlement. Customers pay these fines through higher product prices, while executives receive bonuses. Anyone think there is something wrong with the judicial system? I'm a retired government scientist with an advanced degree in one of the health-related disciplines. I do not use my real name for fear of retaliation, either against me, or against members of my family. I always try to route my e-mail communications so that they appear to come from another source, usually from one somewhere within the government. only ones with even the remotest chance of stopping this. In an article by Jacob Levich in 2011, he describes George Bush’s actions just after 9/11 - “He explicitly warned that much of the war will be conducted in secret. He rejected negotiation as a tool of diplomacy. He announced starkly that any country that doesn't knuckle under to US demands will be regarded as an enemy. He heralded the creation of a powerful new cabinet-level police agency called the "Office of Homeland Security." It is without a doubt that the biggest creators of terrorism are governments. Not able to squeeze any more mileage out of the Cold War scam, Britain and America set about creating a new Bogey Man under the guise of international Terrorism. The Global 2000 report to the President, prepared by the Council on Environmental Quality and the Department of State begins as a STUDY for the "PROBABLE CHANGES IN THE WORLD'S POPULATION, NATURAL RESOURCES, AND ENVIRONMENT THROUGH THE END OF THE CENTURY." The report concludes that the stresses are already severe enough to deny many millions of people basic needs for food, shelter, health, and jobs, or ANY HOPE for betterment. At the same time, the earth's carrying capacity - the ability of biological systems to provide resources for human needs - is eroding. In July of 1980, the Secretary of State endorsed as official Carter administration policy the Global 2000 report, which according to then Secretary of State Edmund Muskie's own words "THE ELIMINATION OF 2 billion human beings by the year... 2000. The Office of Population Affairs of the U.S. State Department from the National Security Council's Ad Hoc Group on Population policy, U.S. Foreign Policy is being planned and implemented on the basis of its effectiveness in murdering human beings. Unprecedented Population growth as spelled out in the ECO summit Meeting in 1992 in Brazil has required the examination of the statistics provided in the studies of "Human Environment" (1972), "Population" (1974), "Human Settlements" (1976), "Water" (1977) and others has shown the MOST growth of Human species in the last 40 years. The first Billion of population occurred on the planet around 1800, the next century ended with about two Billion, the 3rd Billion around 1960, the 4th Billion in approximately 1974 and reach 5 Billion in 1987. We currently exceed 6 Billion on the Planet and the Technicians of Genocide are now stepping up their programs. A couple of interesting news reports on vaccines and autism were recently exposed. unbiased look at at cases in which the government has been compensating autism as a vaccine injury over the last twenty years, while still publicly denying the connection. 1. Secretary Sebelius should disavow her censorship request. 2. The media should report on censorship in the vaccine safety debate. seizures, inflammation of the brain and fainting. adverse effects after vaccines and onset of autism. The report concedes one, but not the other. Even Thoughtful House, whom I considered a beacon of light for investigating the synergy of vaccines given closely spaced, has seen an exodus of its founding members, a new name and a diluted, more publicly palatable purpose. Who is continuing on in search of impartial truth in the face of nearly insurmountable opposition? I myself feel bludgeoned by reports of the definitive safety of vaccines. Trouble is, the more they say it, the less I believe it. high functioning twin sons with autism. planet that the industrialized civilizations collapse? Isn’t it our responsibility to bring that about?" John P. Holdren, the WH Science Czar, back in 1977 in which he actually advocated mass sterilization, compulsory abortion, a one world government and a global police force to enforce population control and he continues to talk about this since moving to the WH. is in the shots and deal with the side effects. Gates. "That means for the first time ever that we have equity in vaccines." Am I wrong but I has there not always been clinics to give shot's to those who do not have insurance or could not afford to pay for them?) What is this rich kid versus poor kid? More indoctrination and hate being spewed. and that need to get into the hands of "poor kids" to create health care equality. He then beckons the nations of the world to use taxpayer dollars to fund this massive, multi-billion-dollar dream to "save the children" by injecting them with various mixtures of toxic chemicals. pushing for the whole world to be vaccinated for many years now. It is clear that Gates and his supporters will stop at nothing until every nation in the world is funding his vaccine campaigns, despite the fact that many of the vaccines being pushed come with a whole slew of devastating side effects, and do not necessarily provide any proven benefit. interest and corporate welfare to us"
BILL GATES AND CO2 LIES TO HELP ENDORSE USING VACCINES! Bill Gates is a Liar, Liar, Pants on Fire! industrialization, we have in the US. We have to stop these Third World countries right where they are." So that you understand the ramifications of these statements - I thought the UN was supposed to be building up 3rd world countries - with American money - I guess not! emissions savings from intended or planned births multiply with time." 2) "No human is genuinely "carbon neutral," especially when all greenhouse gases are figured into the equation. Therefore, everyone is part of the problem, so everyone must be part of the solution in some way." 3) "Strong family planning programmes are in the interests of all countries for greenhouse-gas concerns as well as for broader welfare concerns." "sustainable development", the fact that you and I are alive and breathing air is a huge problem. In Europe, the mantra "carbon dioxide is causing global warming" has become gospel. This banning of cars from city centers is all part of a draconian master plan to reduce carbon dioxide emissions in Europe by 60 percent over the next 40 years. Europe is far deeper in bed with the United Nations so it would only be natural they are most insistant in following the UN Agenda. millions of Americans that love the old light bulbs. But soon we will not have the choice to buy them anymore. What kind of freedom is that? recycling according to city guidelines. 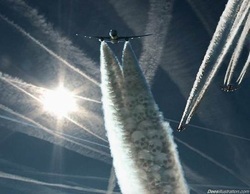 People, please understand - this is not about "fixing the planet"
it is about total control of everyone and everything! but CONTROL & EGOS at your expense.